Because i cant find any Mattermost forum topic here on F-Droid i would like to create this one. There are more then 1000 activists out there that sadly cant use a F-Droid version of this app. Many people that are part in this movement understand the requirement of free software for their privacy and thus for the whole movement. Recently its really sad to see that there is no maintained Mattermost version in F-Droid. This is not a app request forum post. This is a general forum post for discussion of the Mattermost app development to be compatible with google-free devices. What is the status of the acceptance of this patch upstream? Have Mattermost upstream done some work to make it possible to build the app without closed source software/services? 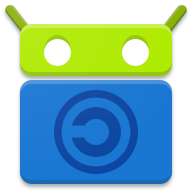 If not, does F-Droid now use a patch that is not being accepted upstream to make those free software builds possible? What is the current build issue? how much RAM does it need? I believe the build server host has 16GB, I can’t imagine it takes more than Fennec, which builds using 4GB. Are you sure? I can build it on my computer with 12 GB so I assumed the build server had less. It’s been two month or more since I added logging for guest ram amount to fdroidserver. This hasn’t been deployed yet. I think the VM I built it on had 6 gb of ram, but I’m not sure. I checked and it was indeed 6 GB. The server was just updated, latest commit is two weeks old, still doesn’t have your commits?